LowVm provide finest virtual private server for hosting a Minecraft Server. 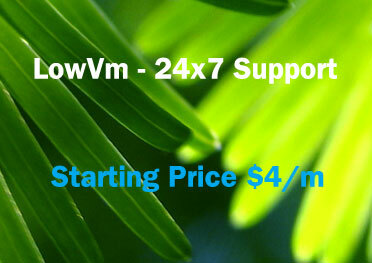 LowVm doesn't have any hidden cost. Just one time payment. No charges in-between service.Total visibility. 99.9% Server Uptime Guarantee, We are committed to providing maximum uptime for your website. We use Firewall Software's and Security Notification for High Security. We are always up to date .